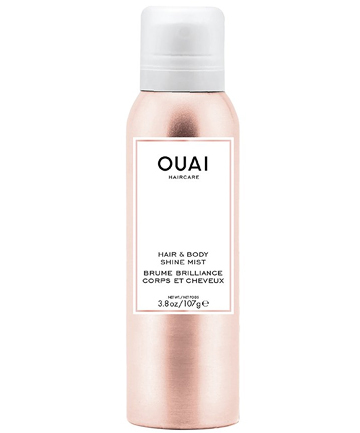 This spritzer pulls double duty, pumping up on your hair's shine and giving your skin a glow. Diamond powder, amaranth oil, and squalane work together to moisturize and brighten. Plus, the rose scent smells divine. Spray it onto dry hair as a finishing touch.